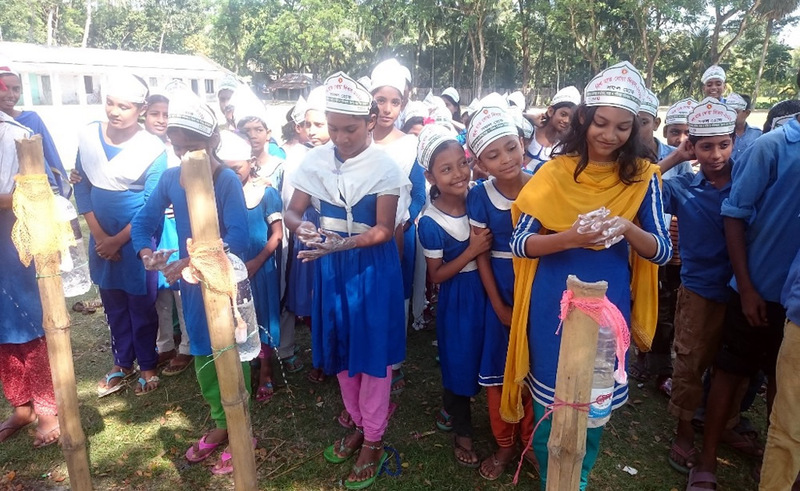 Celebrated every year on October 15, Global Handwashing Day is dedicated to increasing awareness and understanding about the importance of handwashing with soap as an easy, effective, and affordable way to improve nutrition, prevent disease, and save lives. 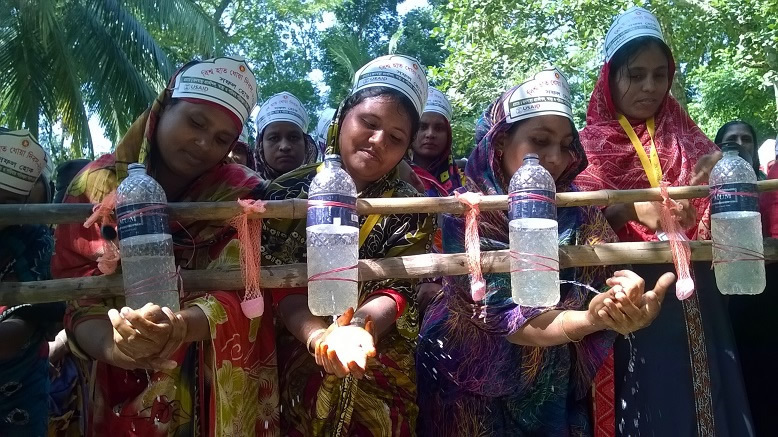 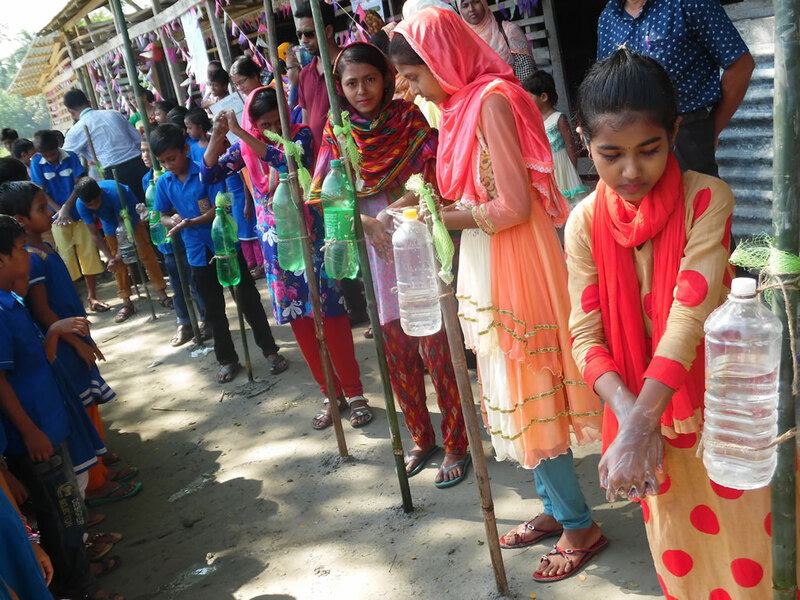 SPRING/Bangladesh hosts and participates in Global Handwashing Day every year to rally communities and encourage people to talk about and practice better hand hygiene. 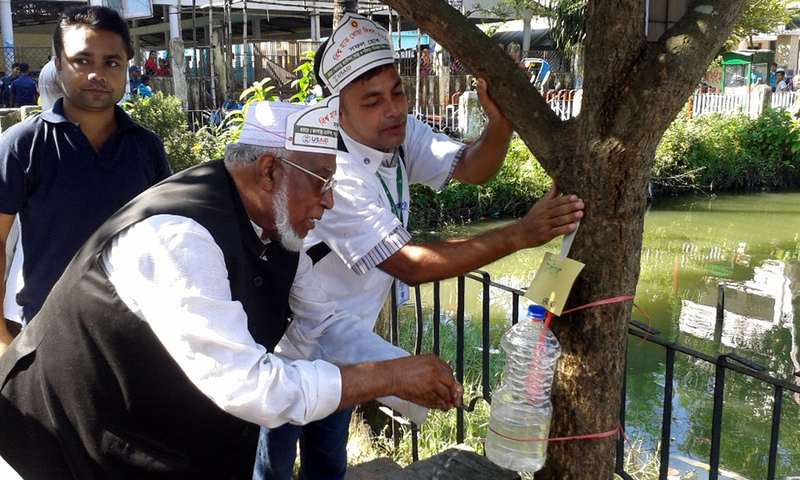 This year, SPRING/Bangladesh spent over a week celebrating the importance of handwashing, with more than 100 rallies, primary school programs, health facility visits, and other community mobilization activities in 40 upazilas of Barisal and Khulna divisions and in Dhaka. 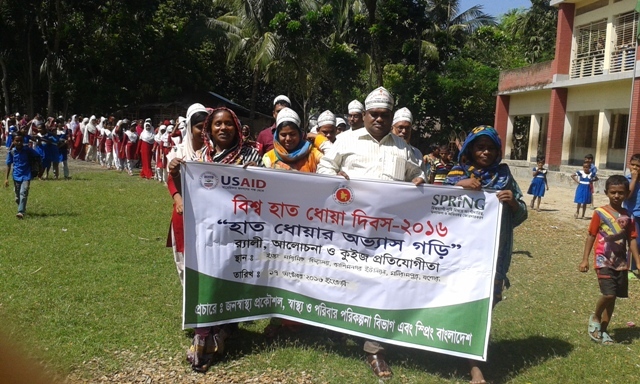 To increase the impact of this year’s activities, SPRING/Bangladeseh partnered with two other USAID-funded projects—the NGO Health Service Delivery Project (NHSDP), which implements the Smiling Sun Franchise Program, with a network of 300+ static clinics; and Sisimpur, the local version of Sesame Street. 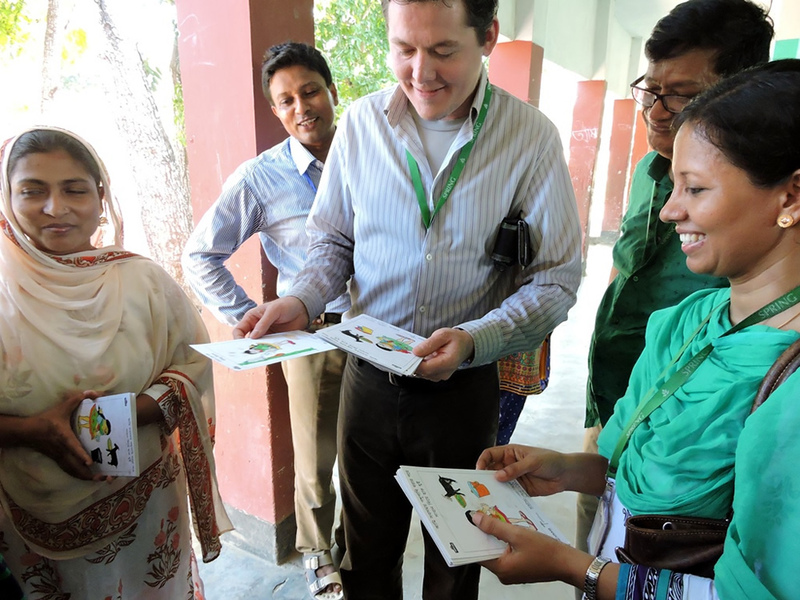 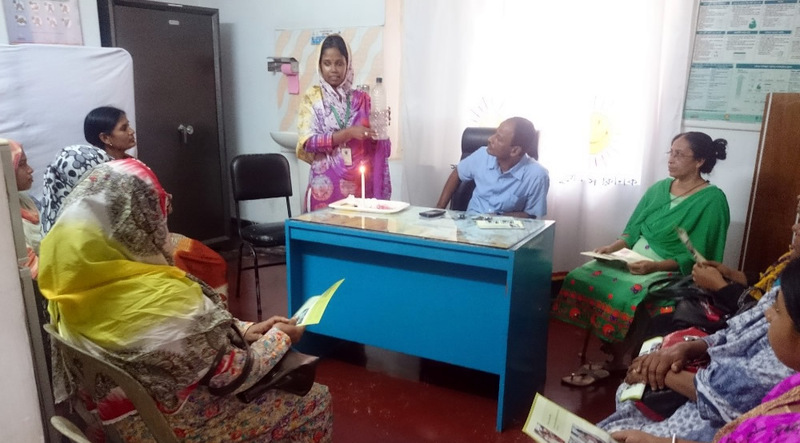 With NHSDP, SPRING/Bangladesh staff visited clinics in Khulna, Barisal, and Dhaka to demonstrate the tippy-tap as an easy, cost-effective handwashing solution and to demonstrate proper handwashing techniques. 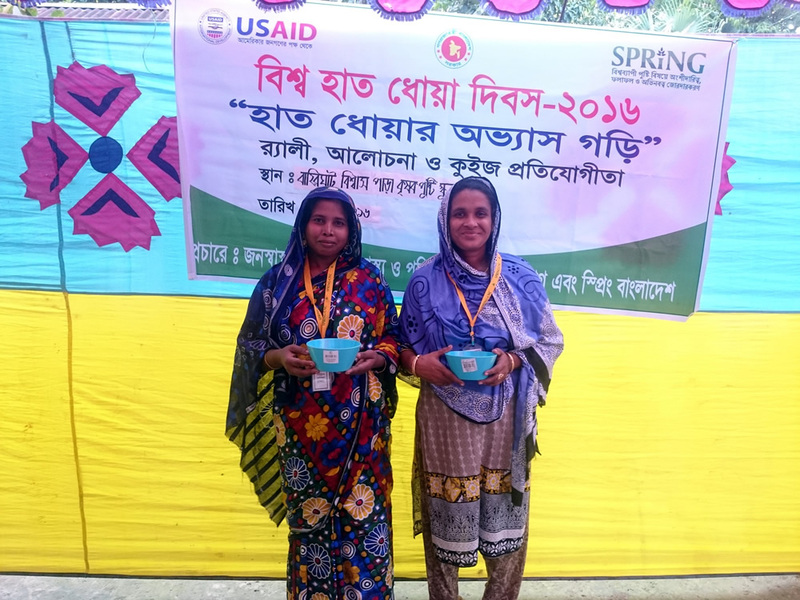 With Sisimpur, SPRING/Bangladesh produced coloring materials featuring Sisimpur characters for primary school children and screened short Sisimpur clips that focused on handwashing. 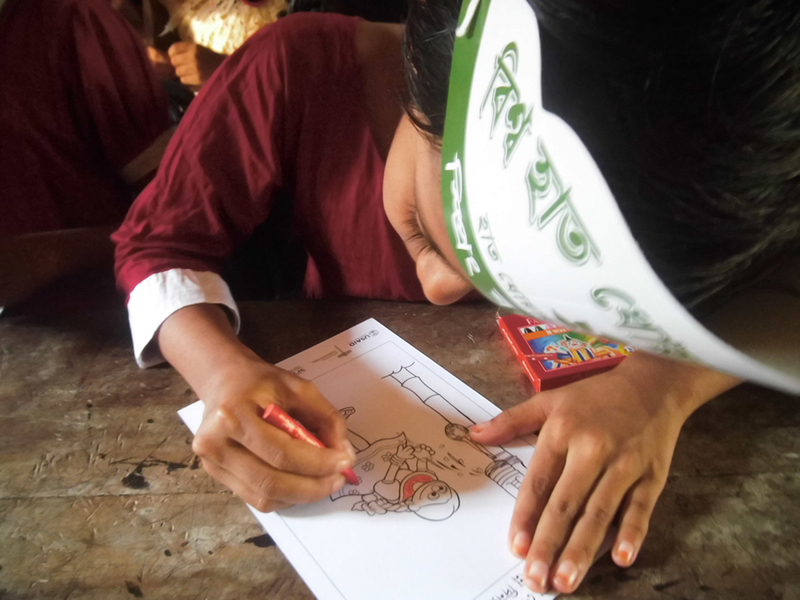 Activities with Sisimpur were conducted in 40 primary schools across Barisal and Khulna divisions. 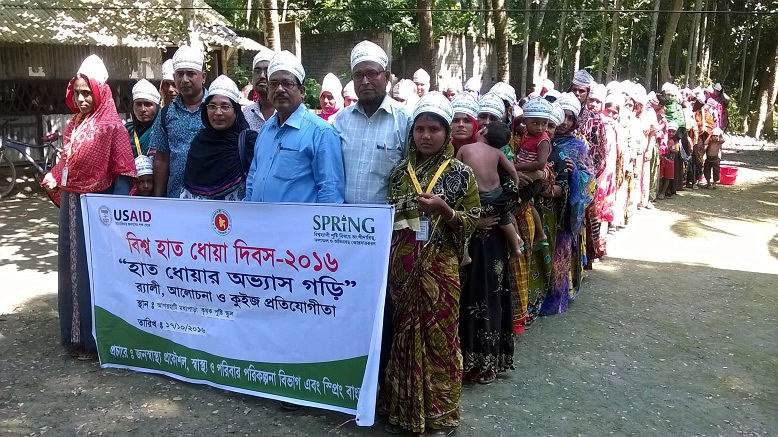 Nearly 20,000 men, women, and children participated in SPRING’s events this year, making it an incredible success!